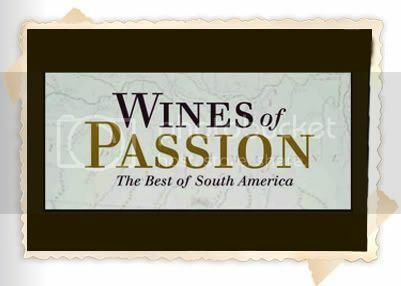 The publication of WINES OF PASSION: THE BEST OF SOUTH AMERICA is now a reality and it is very exciting. It is the only in-depth analysis of the outstanding, attractively priced wines of this region and is a guide for both the novice and the expert as to what to look for in the magnificent grapes of Argentina and Chile. I have received many emails discussing Malbec and Carmenere releases and the pros and cons of the best of the region. Mostly, I have received complaints of how difficult it is to find the wines I rate highly when people want to buy them!! This blog is dedicated to informing people about the growing popularity of South American wines and different ways to taste them. We will feature wine tastings that will be held around the country, developments with our book and our restaurant, GOL! THE TASTE OF BRAZIL, and plans for trips to Argentina and Chile to visit wineries and to enjoy Gourmet foods from South America. I am making plans with Liz Caskey, who has a wonderful food and wine blog (www.lizcaskey.com) , for Culinary and Wine tours to Chile for the last quarter of this year. There will be wine tastings and book signings, the first one being Friday, March 26 at Gol! This event is being sponsored by Chase Manhattan Bank Alumni, of which I am one, and will feature a speech by John Ward, former Chase executive and former Chairman of American Express. We will have a fabulous wine tasting and lunch for only $24.95 and the public is welcome. I will speak about the great wines of South America and we should have a lot of fun. Please make your reservation to attend. It is open to the public. The reader can also register to receive emails from GOL! about special events. The next special event is March 18th, SAVOR THE AVENUE. This will be the largest dining room table in the history of Florida and probably the United States. The main street, Atlantic Avenue, will be closed to cars the table will stretch some 5 blocks. Gol! will have 25% of the dinners at this event from a total of 1000. 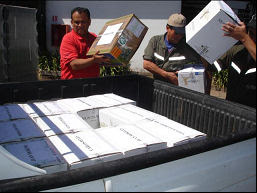 Santa Rita wines are being served and are included in the one price for the 4 course dinner. More information can be acquired from Gol’s website, www.golthetasteofbrazil.com, including all the menus for all 18 restaurants. 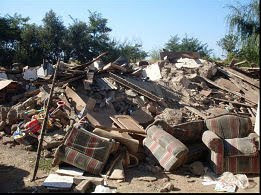 This is our first communication and we will be making regular updates. Next, there will be a report on last month’s Latin American Vinofest, with pictures and interviews galore.